During the winter months, I love crafty projects to keep me busy, while I'm stuck indoors. So, I subscribed to My Paper Pumpkin, which is the subscription box for Stampin Up. I love stamping! I subscribed to these for a while when they first came out, but then stopped and decided to try them again. I'm only getting 3 months, just to get me through the winter! So, I received the January box and made it this week with my 3 year old daughter's help! She loved it as much as I did. Here is what you'll see when you open the box. 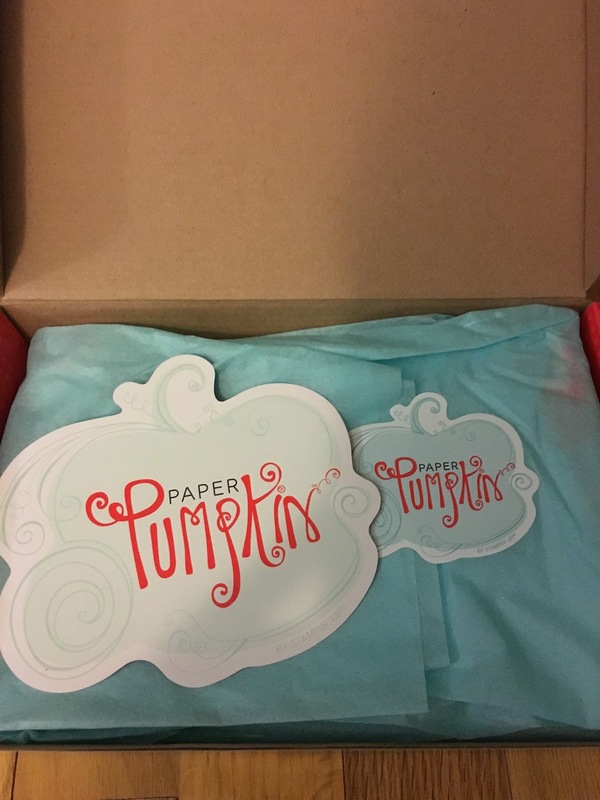 Everything is neatly packaged under the tissue paper! 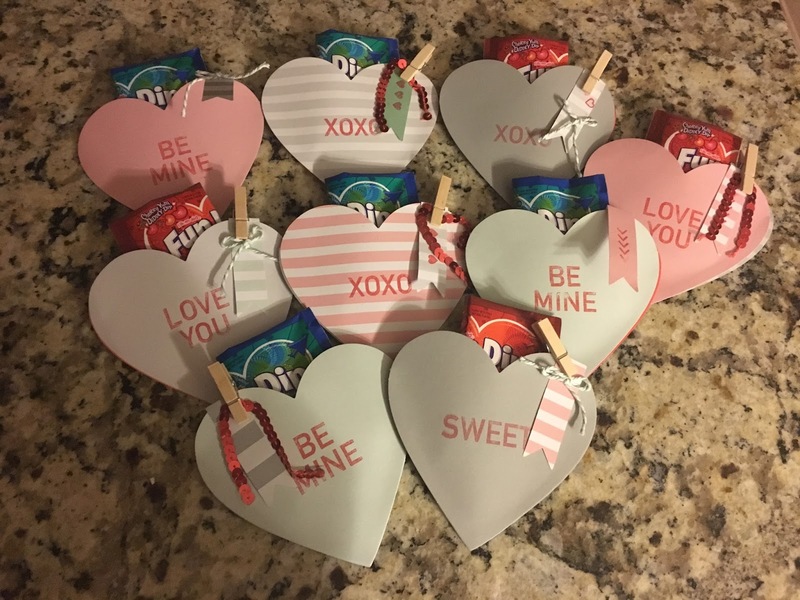 This month's project was called Cute Conversations and had a Valentine's Day theme. We made these for my daughter's day care. 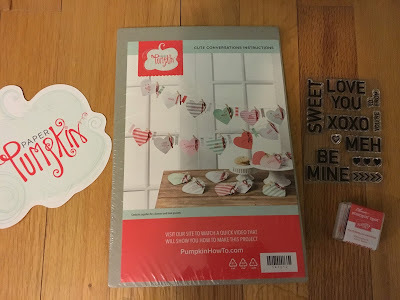 You could either make a banner or heart shaped pockets to hold treats. We made heart shaped pockets to hold Fun Dip and Conversation Hearts! The kit comes with instructions of how to create the project and you are always open to use the supplies for whatever you'd like to create. Plus these kits usually have extra supplies left over, which I like. I'll list everything that came in this kit below, but I did not take pictures of every individual item. They really give you everything you need to completely finish the project! Here are some of the cute conversation hearts we made! My daughter was so proud! They came out really cute and kept us both busy for a few hours!!! 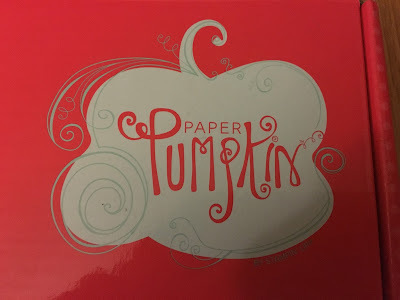 I'm happy I decided to subscribe to My Paper Pumpkin again. I really love these projects. I can't wait to see what they send for the next couple months!